BBT-012 is a long-acting alpha interferon analog created using site-specific PEGylation technology. 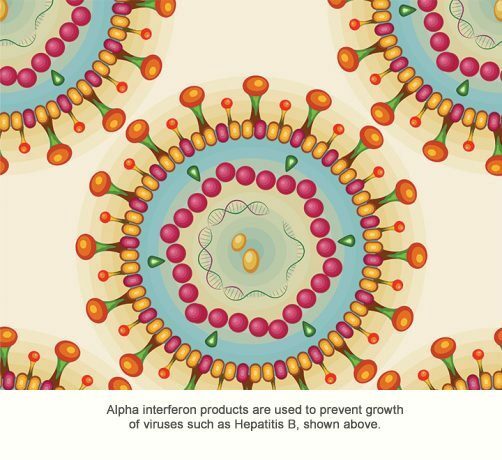 Alpha interferon products are used to treat viral diseases such as Hepatitis B and C, and certain cancers, and have annual worldwide sales of about $1.5 billion. Currently marketed alpha interferon products are heterogeneous product mixtures with low biological activities. BBT-012, in contrast, has a homogeneous structure and is approximately 10- fold more potent than the leading commercial alpha interferon product.